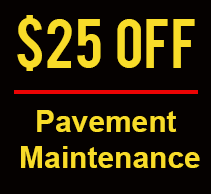 Founded in 2006, owner supervised JWS Superior Seal Coating has become a trusted name in Hunterdon, Somerset, Warren County & surrounding areas in New Jersey, provides the best possible driveway & parking lot repair services at competitive rates available for both residential driveways & commercial parking lots. JWS Superior Sealcoating going to give 1 or 2 year warranties on driveways . We are confident about our work to do this.Our prices are fair and our job is to make sure we give you more than the other company's will. We are given group discounts for customers to get them all done in the same day.This company is owner supervised that's one of the reason we have the best prices. No job is to big or to small we do it all .Thank you and we do appreciate your Business.